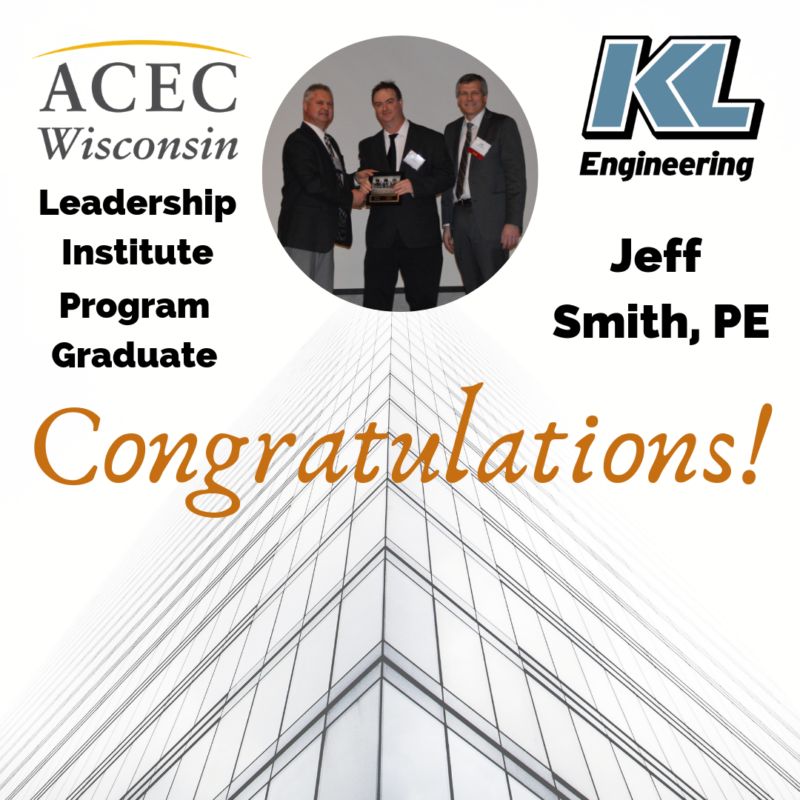 Congratulation to Jeff Smith, PE on his graduation from the ACEC Leadership Institute Program! This leadership program is created for Wisconsin design professionals on a development track for successful project management and principal positions. Participants receive a diverse training on the leadership and business skills necessary to succeed in the design profession. Through goal setting and an accountability structure, participants are challenged personally and professionally to set and achieve goals. Visit the ACEC Wisconsin website to learn more.